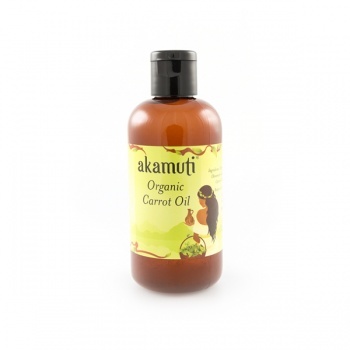 A beautiful orange oil with a reddish tint, capturing all the skin softening qualities of vitamin rich carrot. Macerated in sunflower oil, carrot's wonderful colouring is due to the high content of beta-carotenes found in this vegetable. Beta-carotenes are an essential source of nourishment for maintaing bright & healthy skin. Beta-carotenes are found in many orange fruits & vegetables including pumpkins & squashes. We recommend this oil for: dry skin & moistuirising. Dilute with carrier oil to prevent skin tinting (optional).